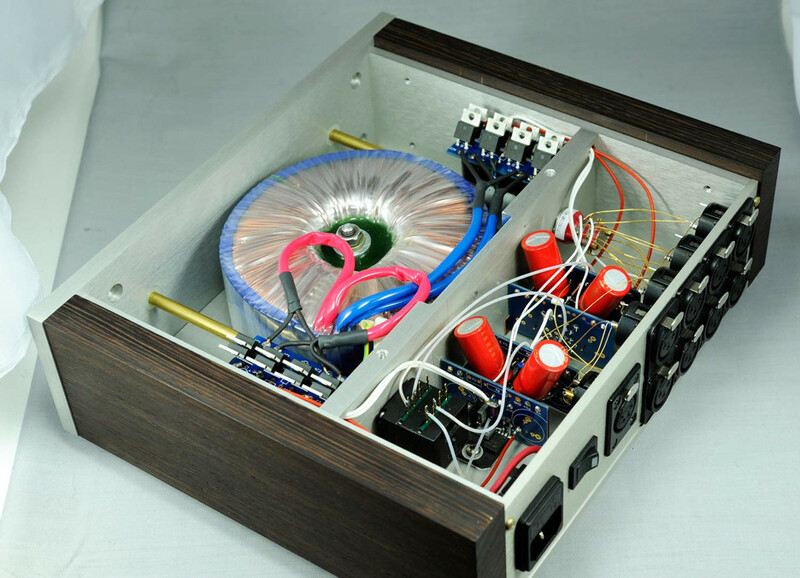 A while ago, I’ve built a custom headphone amp based on LM3875 kit. The requirement was to have it fully balanced, preferably in dual mono configuration. I used one of the custom toroids from toroidy.pl with amorphous core and 4 sets of secondaries at 22V AC ea. 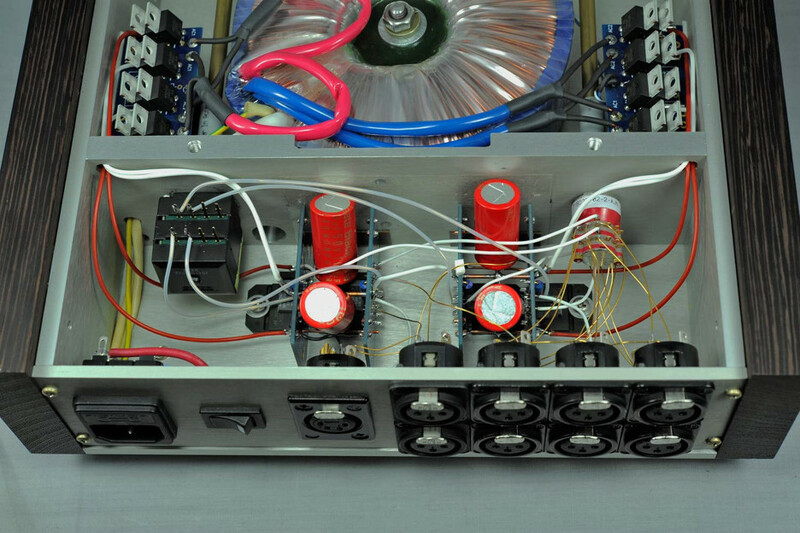 The power supplies are located on both sides and 2 LM3875 premium kits have been used in balanced configuration. I didn’t do any changes to the kits with exception of replacing 680R resistors with 1k2 to lower the gain. Output is taken directly from between 2 amps. Initially, we were using Noble pot, each deck across two phases of balanced signal, and it worked quite good, but later at customer request I changed it to Khozmo. 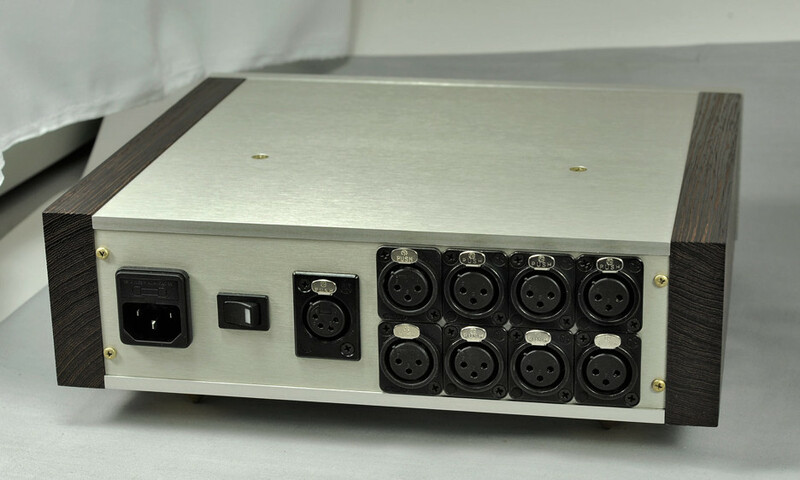 The preamp can handle only balanced sources and there are two sets of outputs, no speaker connection possible. 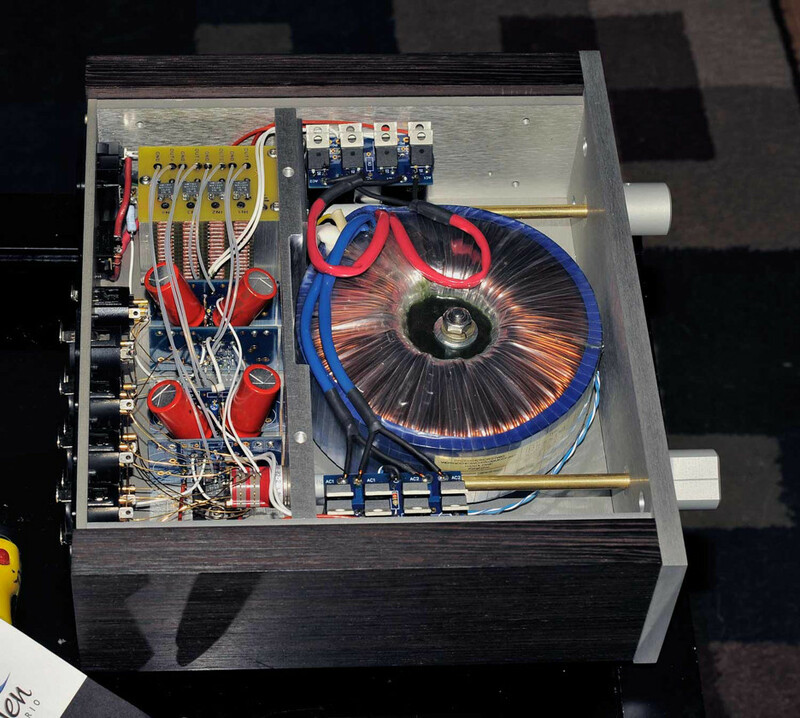 The Integrated Amp chassis, with slight modifications worked very well there. Immediately I could see the improvement in depth and clarity compared to the non-balanced pot. I can now ear the echos of the instruments and various sound layering. I really like the many possible volume adjustments. That was a good choice!! I can say, and without a doubt, this attenuator is the best complement to your amp – a benchmark, what a difference!. For me, it is now my Holy Grail reference head amp!! I use 20 clicks or 11 O’clock position for normal & sustained listening periods (with the HD800). The low level adjustment, precision and switch tightness is really, really nice. By far my best attenuator, highly recommended and worth the $275 investment, you should try it yourself!